I’m a huge fan of Six-land, as proposed by Andrew Jeffrey. It is an imagined land in which things work in base-6. I worked with a group of children from a mix of classes (aged 6-8) and we have been figuring out how the number system works in six-land and also how to measure things. One of the conversations we had was about how children who lived in six-land, learn how to use their numbers. A child suggested they had counting books… so we made some! Books that count in base-6. 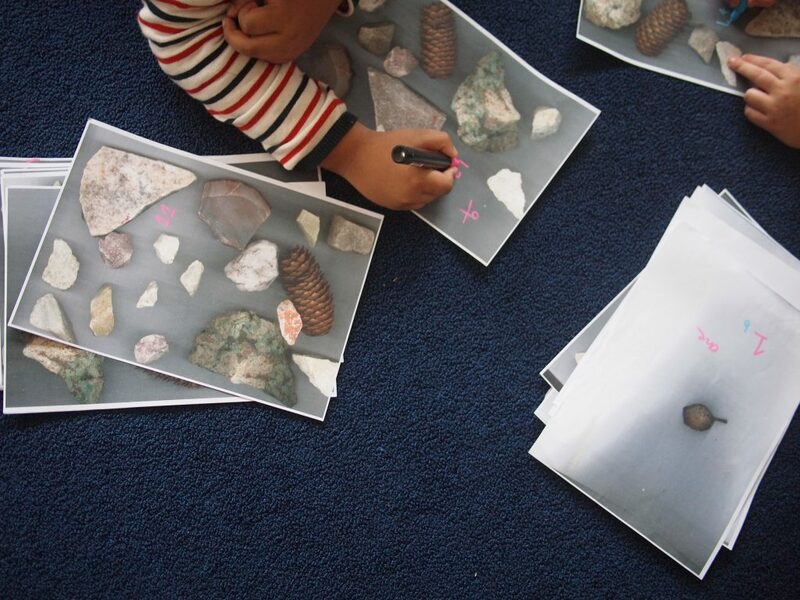 One of my favourites was one from a group who counted rocks and other natural things and made their book by photocopying them.